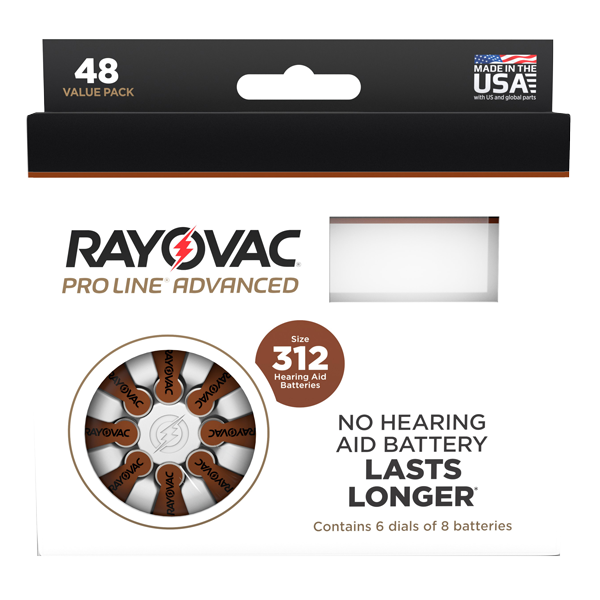 Rayovac Size 312 Hearing Aid Batteries 48 Count are 1.45 Volts and Mercury Free. These are Rayovac's longest lasting, most dependable batteries. These are Rayovac's longest lasting, most dependable batteries. Contact us at 1-800-264-7169 Monday through Friday, 7:30am to 5:30pm Central Time.